Tuesday | December 8 | 7:30 P.M.
Sundays | 2 P.M. & 6 P.M.
Fridays | December 25 & January 1| 12 P.M.
will be held in Mexico City June 14, 2015. Call for singers and composers! The deadline for entry, to submit a video is April 13, 2015. The website includes the rules for submission and registration for the competitions. The centennial of the death of Sholem Aleichem (Rabinovich), the most well-known and celebrated Yiddish author , creates an opportunity to revisit his life and work. His direct and indirect influence permeates literary, theatrical, and cinematic representations of East European Jewish life and, in his late work, America. Straddling the fine line between empathy and irony, Sholem Aleichem’s writing is a sensitive guide to the vicissitudes of cultural modernization, secularization, migration, and revolution. The program is “Ayn Neue Lid – When Yiddish Was Young,” created with a grant from the EAJC and the Rothschild Foundation Europe. solo concert presented by the Winter Jewish Music Concert. admission for the concert is $18, and sponsor tickets are $36. The summer program will take place on the Tel Aviv University campus from June 16 to July 11, 2013. The program offers intensive Yiddish instruction at five levels. Language instruction will be supplemented by an afternoon program of lectures, conversation workshops, tours, and by evening cultural and social events. Read more about Yiddish in Israel at the website. The Tufts University Department of Music presents the musical revue Mogulesco: A Tale of Yiddish Theater, written by Mark Slobin, in the Distler Performance Hall at the Perry and Marty Granoff Music Center on Monday, December 3, 2012 at 8 p.m. This event is co-sponsored by the Tufts University Department of Music, Tufts Hillel, and 3Ps. The performance features the work of Zelig (Sigmund) Mogulesco (1856-1914), who is often called the “Charlie Chaplin of the Yiddish theatre”. Mogulesco was known for his comedy, agility, and also songwriting. The performance is directed by Michael Morris with music by the Jumbo Knish Factory, Tufts’ Klezmer ensemble under the direction of Michael McLaughlin, and a cast of Tufts student performers. available in translation as will an English synopsis of the main lecture. California-based singer Heather Klein performs Yiddish songs from her new CD “Shifreles Portret.” She will sing duets with special guest artist Miryem-Khaye Seigel. The program will include both known and lesser-known Yiddish theater songs. קומט און פֿאַרברענגט אױף אונדזער הײַיאָריקער ייִדיש־ברײק אין אין דער אוניװערסיטעט פֿון פּענסילװאַניע! Come recharge your Yiddish battery with our sixth annual Yiddish Break at UPenn March 23-25th. Songs of the cradle and home life, kheyder and nature. The Yiddish Song of the Week is a blog presented by the Center for Traditional Music and Dance’s An-sky Jewish Folklore Research Project (AJFRP). This initiative is part of a larger effort by the AJFRP to revitalize traditional Yiddish folksinging performance and research on the subject. 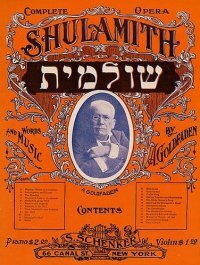 The website emphasizes field recordings of traditional Yiddish folksingers from around the world contributed by folklorists, ethnomusicologists, musicians, singers and collectors. Each Yiddish song is presented with Yiddish words and translation, along with commentary from the contributor. Itzik Gottesman is the Director of An-sky Jewish Folklore Research Project. The concert is presented by Moshe Rosenfeld and Golden Land Concerts & Connections, with support from the League for Yiddish/Afn Shvel, as well as the National Yiddish Theater – Folksbiene, The Workmen’s Circle/Arbeter-Ring, Congress for Jewish Culture, YIVO Institute for Jewish Research. YIVO presents Hy Wolfe in a concert performance, accompanied by Herbert Kaplan at the piano. New York stage actor and singer Hy Wolfe returns to our stage with a show featuring Yiddish theater and folk songs and stories. Wolfe worked with, and learned from, many of the brightest stars of the Yiddish theater, and is a living link with a glorious tradition. The show includes a tribute to the late Shifra Lerer, the last of the greats from the classical period of the Yiddish theater. 4 exciting free concerts in NYC & Westchester! Committed to finding new ways of bringing this rich cultural heritage to life for new generations, the Folksbiene presents an electrifying concert starring some of the hottest young talent performing new songs and new interpretations of the classics. “Traveling the Yiddishland” by Dmitri Slepovitch presented by the National Yiddish Theatre – Folksbiene – is a musical/ multimedia journey across the routes of the Yiddish song’s history in the 20th century Eastern Europe– brought to the modern audiences through the original videos, live singing, playing, and DJ-ing. The program is based on the Yiddish song, traditional and original Litvak klezmer tunes, documentary footage, and storytelling. But most importantly, it is a multi-vectored dialog that creates a link to the rich traditional heritage. 55 Lexington Ave. at East 25th St.
Purim is over, which means Passover is just around the corner! Arguably the most widely observed of all Jewish holidays, Passover (Pesach) is a celebration of freedom–a remembrance of our people’s Exodus from slavery in Egypt over 3,000 years ago. Today, there’s an amazing array of terrific music for Pesach, both traditional and contemporary, to enliven your holiday and brighten your home, your car, your classroom, or anywhere else you listen to music. Check out these amazing recordings by clicking on any cover image below. Chag Pesach Sameach! of David Botwinik, is a singular demonstration of a life devoted to Jewish continuity. Yiddish Chorus in International Choral Festival! culminating in a number sung by all choruses together. is the only Jewish – or Yiddish – chorus on the bill. WWGD: What Would Glatshteyn Do? Don’t miss the Yiddish poetry event of the millenium! A Heymishe Yiddishe Chanuke TODAY! Program followed by Menorah lighting, singing and reception. Singer Adrienne Cooper and Michael Winograd, NY music scene audacious talent, team up in a debut project (preview to a new recording) with spectacular players Dan Rosengard (piano), Avi Fox-Rosen (guitar), Benjy Fox-Rosen (bass), Greg Mervine (drums), Jon Singer (marimba), and Sarah Gordon and Niki Jacobs (vocals). 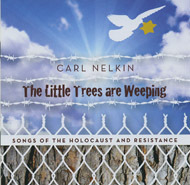 Carl Nelkin, an amateur singer and lover of Jewish music in Ireland, has released a new CD of songs of ghettos and camps in World War II. Nelkin combines Irish and Jewish sentimentalities to these songs of the Partisans and Ghetto, all sung in the original Yiddish. The booklet contains the translations into English along with the texts in Yiddish, along with some nice accompaniments. It is hoped that this type of recording should encourage other small communities of Jews to share their creative works. Carl had released his first album “Irish Heart Jewish Soul: Favourite Irish and Jewish Songs” in 2003. For more information about the CD, go to www.irishjewishmusic.com Carl has also appeared on Irish Radio in a High Holiday special. and with the world around them. The songs are in Yiddish. For young, old, and everyone in between! For the Yiddish-fluent, Yiddish-challenged and Yiddish-ignorant! Bring your kids and grandkids for a truly inspirational evening! 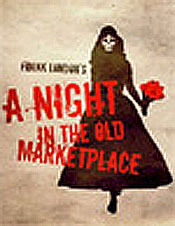 Tuesday, February 17, 2009, 7:30 P.M.
Bronx NY, corner 208th st.
one block from Montefiore Hospital. NEW YORK, NEW YORK 10038. Sung in Yiddish. English translations provided. An older video of Shlomo Artzi singing in a studio in Yiddish was found by YK and linked on the blog. We offer it here for fans of Yiddish and fans of Hebrew music. Yiddish in Israel on YouTube. Who knew? Come sing your heart out – in Mame-loshn! $18 Advance Purchase; $20 Day of the Event. Sung in Yiddish, with English translations. M5, M6 buses downtown to West 4th St./Broadway stop. BY SUBWAY: 1) N / R train to 8th St. Walk 3 blocks S. on B’way to W.
songwriter bios — and more. vocal talents of 18 musicians from across the spectrum of Jewish, Americana and World Music.